An alert that sounds if you’re speeding. This feature coordinates the car’s position, via GPS, with a database of speed limit information to alert drivers if they’re speeding. 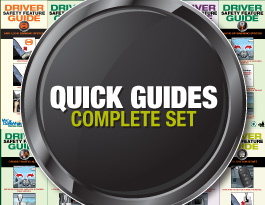 This helps drivers maintain a safe driving speed. Newer versions may use a camera to read speed limit signs. 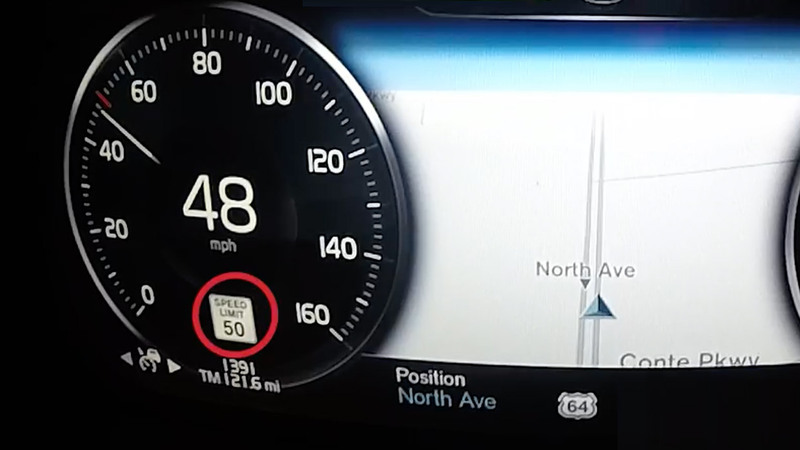 A more advanced version of this feature, called intelligent speed adaptation, would be capable of slowing down the car automatically if a driver passes the speed limit. Drivers would be able to override most versions of intelligent speed adaptation. 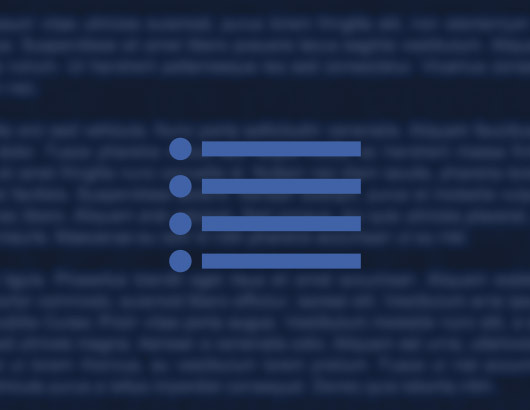 This feature currently is being researched in Europe and the United States, among other countries. 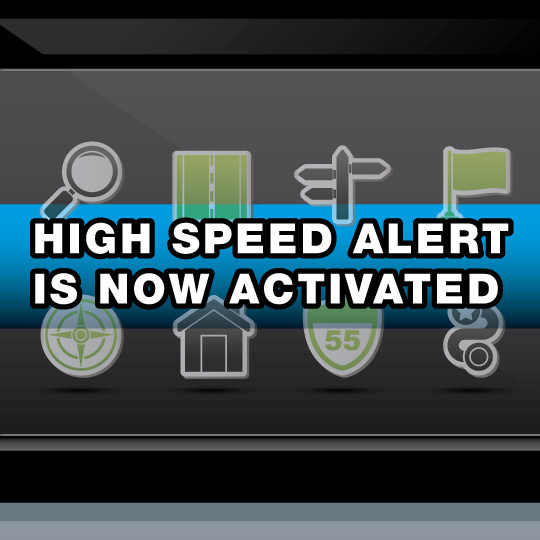 Activate high speed alert in your GPS or vehicle’s settings if it isn’t on by default; make sure it’s updated. Look for warning symbols and/or listen for warning beeps that indicate you’re going above the speed limit. Gently slow the vehicle to the appropriate speed. 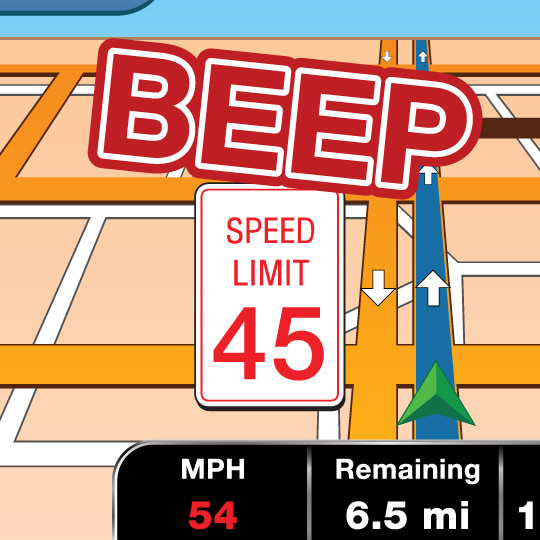 This feature lets you know when you’re speeding so that you can slow down to an appropriate speed. The global positioning system (GPS) unit compares a database of known road speed limits against your actual speed through the use of a built-in speed sensor. Some versions may also track school and work zones; future versions may be able to read speed limits though a camera. 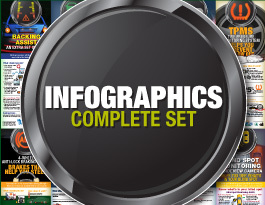 First, make sure your GPS or car’s infotainment center is fully up-to-date. Then, listen and/or look for high speed alerts, such as beeps or visual warnings such as color changes on your display. If you’re warned, carefully slow your car to the appropriate posted speed limit by letting off the throttle or lightly braking. Refrain from slamming the brakes to maintain a safe speed. • If you’re unsure how to update your internal or external GPS, contact your car’s manufacturer or the manufacturer of the GPS unit. • When in doubt, always rely on the posted speed limits on the roads. • Some high speed alerts may not take into account school and work zones, so be sure to keep track of all posted speed signs as you drive. How do I know if I have this feature? This feature is included in some cars’ built-in infotainment systems on your multifunction display as well as in many after-market GPS units. Check your device’s owner’s manual to find out whether you have high speed alert. How should I react if I get a high speed alert? 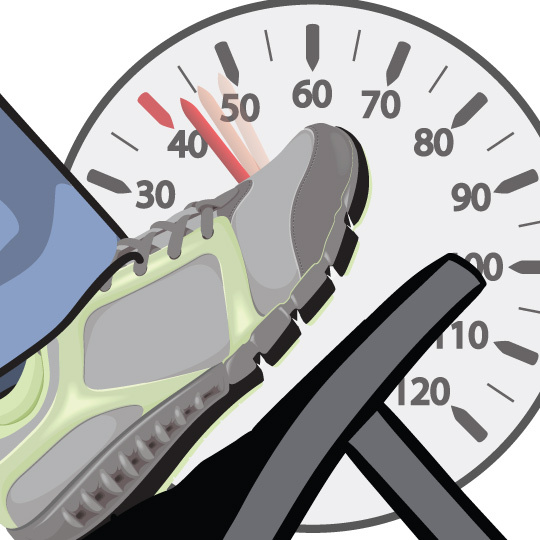 If you get a high speed alert, gently slow your car to match the speed limit. You can do this by letting off the throttle until your car slows to the appropriate speed or by lightly braking. Be aware of traffic behind you as you slow down. My high speed alert doesn’t go off even though the roads signs indicate I’m speeding. Is my system not working? If this happens, it could mean that your GPS’s maps are not fully updated or complete. You should update your GPS unit before your next driving trip. A lack of alerts could also mean that you’re driving on a road that has recently begun construction or switched speed zones. When in doubt, rely on the posted speed limits, not your high speed alert. Warns you when you’re approaching a curve or exit on the road too quickly.